‘A bit of no one’ is a new piece by the young Canary creator and dancer Carmen Fumero. It speaks of aspiring to become someone, of the need to be accepted, fit in, participate and form a part of the overall total. 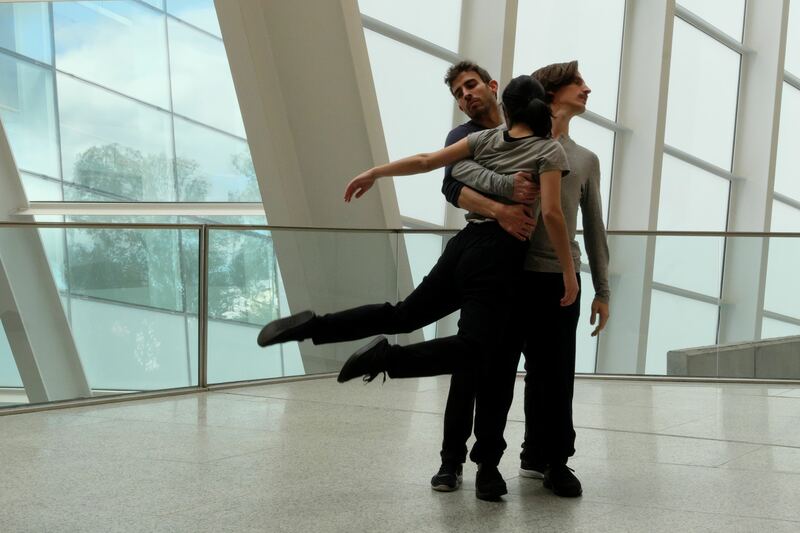 On stage are three committed dancers of different sensitivities and qualities of movement portraying the tension of rejection. The two men, Miguel Ballabriga and Indalecio Séura, appear intentionally connected and share a code of conduct; at times they go in unison to establish direct and frontal communication. In silence Fumero observes them. She, and it is not unwarranted that she be she, remains still, a mere witness with a desire to participate. More than halfway through the performance she tries to become part of this world, but she is ignored and rejected, at times even exploited. Alone, she dances frenetically in response to their rejection. Subtly, but determinedly, her message gets through to the audience.